NEET-SS has become a nationwide exam for admission into super-specialty courses across India. This entrance examination is the gateway to all DM/MCH courses in India. This NEET DM Cardiology super-specialty entrance examination is to check eligibility/ ranking of the post-graduation course. Hence, it has become an extremely important exam. Candidates should be aware that the examinations are a test of their knowledge of key areas of the NEET DM Cardiology specialty curriculum. Ensure that certified specialists have sufficient knowledge of their specialty to practice safely and competently as consultants. Candidates from multiple Postgraduate specialties appear the Super Specialty entrance exam to pursue a particular specialty. Candidates with MD/DNB General Medicine, Pediatrics and Respiratory Medicine are eligible for DM Cardiology courses. For appearing an entrance exam to get admitted into super-specialty courses there should be a different strategy for preparation. Hard work, dedication and being focused are very important. Group discussions preferably to be limited as they can even contribute to confusions. Clinical: in-patient, out-patient, and ICU. Assisting the consultant with surgeries. Performing minor procedure under the guidance of a consultant. Presenting topics in seminars and symposia. 24-hour duties in cardio ICU and giving the acute care to patients. Students have to pass NEET DM Cardiology test before they can be considered by universities for admission. 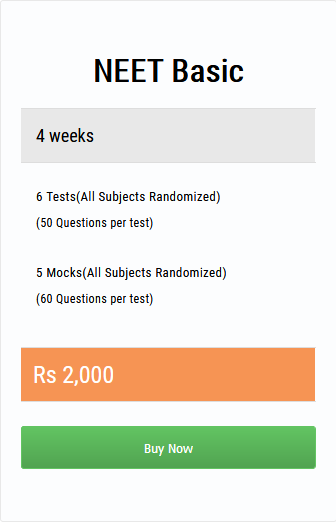 MediExamPrep online portal offers high-quality Test Prep programmes throughout India.